Note: The pumpkins are back! Recycling this column and encouraging everyone to buy a pumpkin at the church on the corner of Quaker & Seminary in Alexandria. 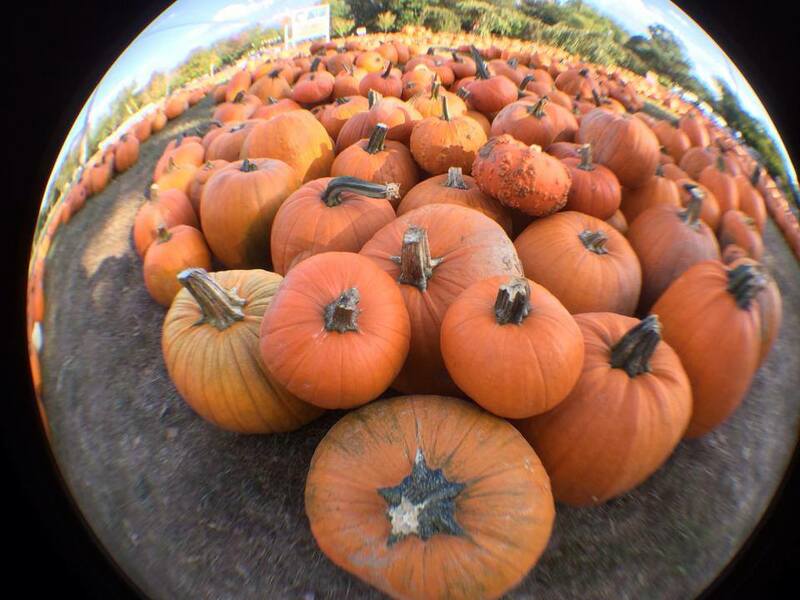 It’s a small price to watch little children giggle and toddle through the pumpkin patch. I know fall has arrived when the Episcopalians set out the pumpkins. The front yard of Immanuel Church-on-the-Hill turns orange with pumpkins every October. The congregation unloads hundreds of pumpkins of all colors and sizes, trucked in from a Navajo reservation in New Mexico. Then church members sell the pumpkins (and some other goodies) from morning til night, through Halloween. The profits go to local charities like ALIVE! and Carpenter’s Shelter and international ones like Heifer International. 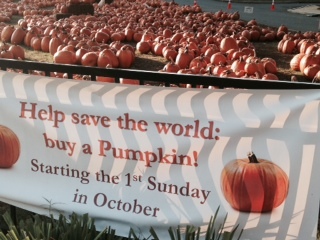 “Buy pumpkins, help the world,” the church sign says. Like many places in 250-year-old Alexandria, Immanuel has a historical footnote. Gerald R. Ford lived a few blocks away and the Ford family attended Immanuel Church-on-the-Hill for years. He served as an usher and the first lady taught Sunday school (presumably before presidential duties intervened). The church plays a role in our family history as well. After we moved to this neighborhood, we would roll a red wagon to the pumpkin sale with our sons and they would carefully choose among the pumpkin bounty. One year, Sam insisted that I not discard the pumpkin “guts” when we carved his pumpkin, and make a pie instead. So from that year forward, I have roasted a pumpkin and pureed it for a pie. A little more work than the $3.19 canned pumpkin from the store, but it brings back memories of Halloweens past. This year, our “mystery” volunteer plant in the garden turned out to be a pumpkin vine that sent runners around two sides of the garden. Though lush with many blossoms, it produced exactly two pumpkins. CRR turned one into a savory pumpkin soup. The other one will be carved at Laurie and Mark’s annual pumpkin salon.